We had our contractor demo the surround and mantel. 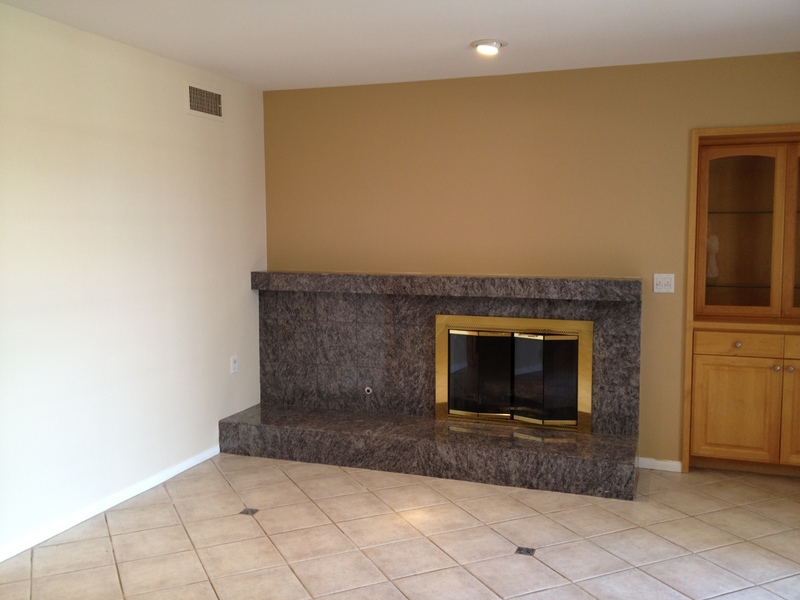 We also took out the old built-ins and replaced them with plain white doors painted in the same color as the walls. Love the storage provided by the built-ins, but nicer hidden away. For the longest time, I’ve had my eye on these beautiful handmade dimensional tiles from Heath Ceramics. 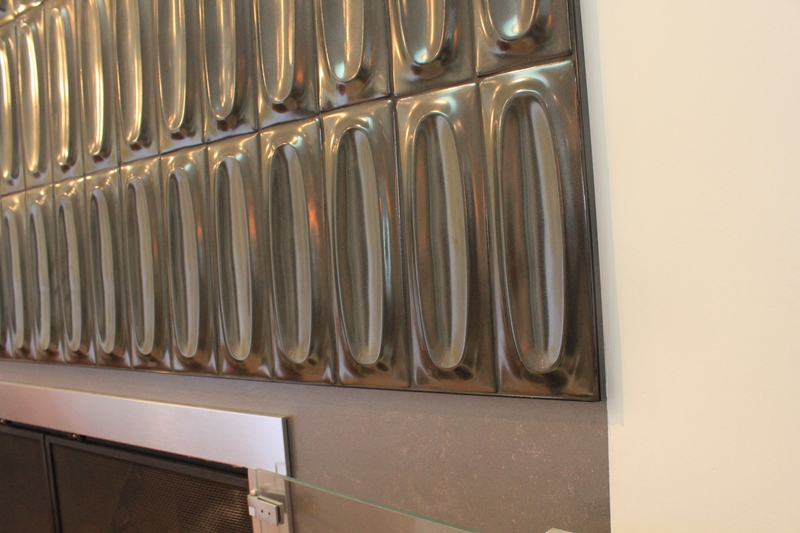 They are definitely on the pricey side so we decided to only place the tiles above the fireplace. The color we chose is “Gunmetal”. I ended up painting the lower section of the fireplace surround with a grey metallic paint from Ralph Lauren. 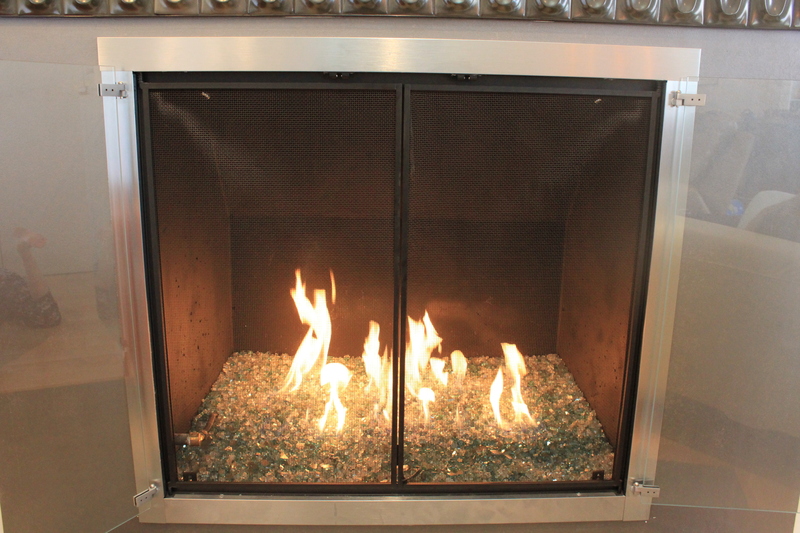 We added a plain stainless steel surround with glass doors and also had the inside cleaned out and updated by a local fireplace store. 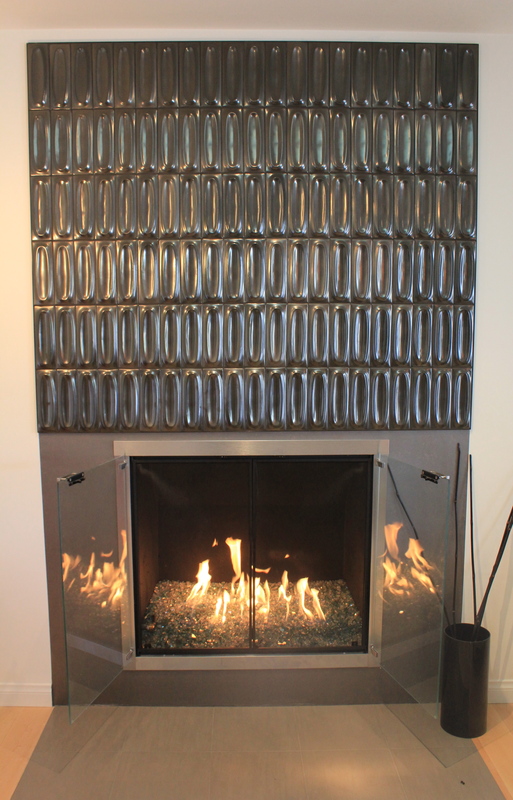 We chose a mixture of beautiful aqua & off-white fire glass which looks amazing! The new fireplace brings a great new vocal point and warmth to our family room. 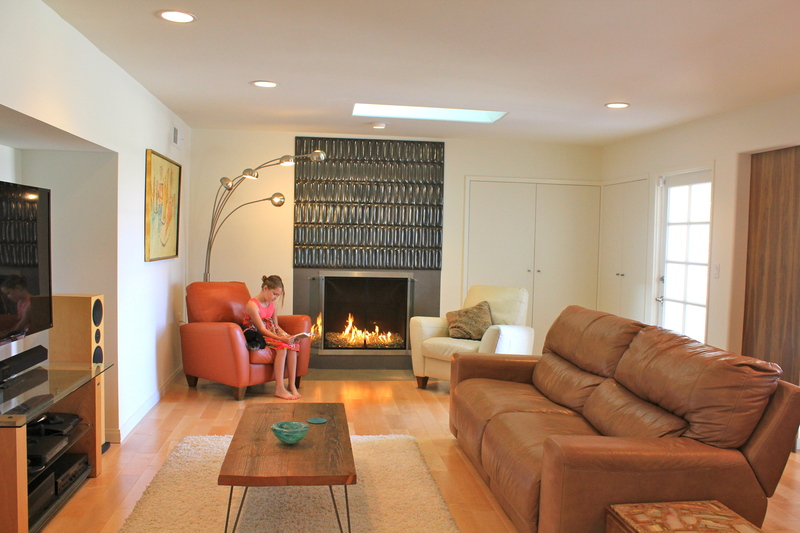 The cool coffee table is from Birdloft. Check out their Etsy store. I’d love to exchange the old sofa at some point but it’s sturdy and ok for now and everybody else in the family (except me) likes it because it’s also a recliner. Love your fireplace. It’s beautiful. Pictures can’t do it justice. When the fire is lit, the glass just shimmers.